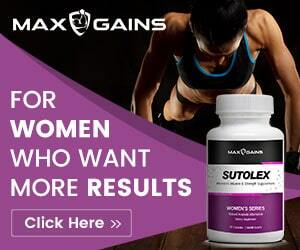 Clenbuterol – Should Women Use this Fat Loss Drug? If you or someone you know is into fitness matters, then there is a chance you may hear about Clenbuterol at some point. Also referred to in many cases as ‘clen’, it is a very popular steroid especially in the world of bodybuilders – in fact, it is among the ‘go-to’ cutting drugs for many bodybuilders who step on stage, especially the professional ones. According to statistics from the Center of Disease Control (CDC), more than 60 percent of adults in the United States are considered overweight, and out of this, one in three adults is considered obese. When you consider these figures, it is not surprising that many people are turning to weight loss products, as the cost of treating different lifestyle illnesses caused by weight issues is becoming more and more expensive. Among these weight loss products is Clenbuterol, a drug that has its fair share of controversy even though many people claim it works for them. It is therefore not surprising that it has become a hit in the general fitness community. For instance, there are many claims that state its effectiveness for people who want to lose excess fat without compromising their muscles – however, many claims also state this is not true. For the naysayers, they say it is not as powerful as other fat burners, and this leads to confusion because you do not know who is right or wrong. 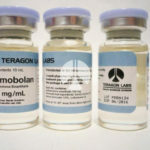 We will show you what this steroid is about, and how it works. Clenbuterol is a steroid-like chemical, with its full name being Clenbuterol Hydrochloride. It has an interesting history – the initial purpose was treating cases of asthma and other respiratory infections in horses and other animals because it was able to relax the air passages in their lungs. Apart from this, it also works as a stimulant that increases fat burning and metabolic rates. The drug is sold under different names that include Spiropent, Dilaterol, as well as Ventipulmin, although many people will simply refer to it as ‘bute’ or ‘clen’. The drug was developed in the 1970s, so it is not very old. Its initial use was acting as a bronchodilator and a de-congestor. In fact, the initial marketing for human use centered on its ability to decongest the nose and nasal cavity, as well as an asthma remedy for people and thinning of blood to reduce high blood pressure cases. Some countries, especially in Latin America and some European countries, still use it as an asthma medication, although most have now changed to safer alternatives that are more effective. However, it is banned by the FDA (Food and Drug Administration), because there are other drugs that do the same things without the side effects. When looking at its history, you may begin to wonder how it ended up in bodybuilding circles as a steroid drug that promotes fat loss. In fact, the use of the drug in these circles is deemed controversial by many. The drug works as a sympathomimetic system. By stimulating the CNS (Central Nervous System) and the heart simultaneously, its effects on the body are actually similar to that of amphetamines and epinephrine. It binds to the same receptors in the body, which respond to epinephrine in the body. In addition, it also binds to the muscle cells and enhances the process of synthesis of muscle proteins, which leads to the effect of building muscle mass while burning fat. 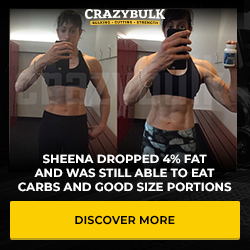 It is a banned drug in the United States, as it falls under the category of beta-2-agonists – in other words, it burns fat without you making any additional effort. This class of drugs works in the opposite way to a beta-blocker drug. Beta-blocker drugs reduce the production of noradrenaline and epinephrine, but beta-2-agonist drugs increase these chemicals in the body. That does not mean it attacks the fat cells – rather, it increases the temperature of your body as well as stimulating the metabolism, which burns a greater amount of calories. The effects of this are several, including increased nervousness, rapid burning of fat, excitability, greater determination and increasing levels of energy. Why is it so popular in weight loss? The burning of fat (thermogenesis) is the main reason why it is increasingly being used as a weight-loss drug among bodybuilders, as it increases metabolism without compromising strength and muscle mass. 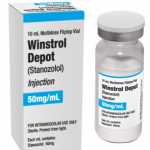 It is particularly popular among people who take anabolic steroids. It is increasingly becoming known as a secret celebrity diet because it is apparently very popular among athletes and celebrities. Other reasons people take it include enhancing athletic performance, and losing fat while preserving and building muscles. However, it is important to note that the creation of lean muscle tissue is not something that has been scientifically confirmed, and other anabolic steroids do the job better for some people. Because of this, it is better to use the drug to improve your breathing and some instances of weight loss. As stated at the beginning of the article, the main benefit that one gets from this drug is improved breathing, especially for asthma patients. Since it works as a bronchodilator, it opens the airways and enables a person with blocked airways to breathe more freely. In addition, an effect of better breathing is increased athletic performance, and this may make the drug useful for enhancing cardiovascular activity, and this improves the endurance of the athlete over some time. However, it is also important to note that there are other drugs that do the job more effectively compared to clen, so if you are interested in only improving your breathing without weight loss, you may want to consider a different drug. The drug is able to increase the overall temperature of the body through a process called thermogenesis, which shows to have a significant effect on loss of weight. This could also be due to the mechanism acting as a beta-2 simulator, therefore increasing the ability of the body to burn calories. As the temperature of your body goes up, fat cells are stimulated and begin to break down triglycerides. However, you need to be aware that the effects will not make you shed those pounds on its own. They can only act as a supplement to enhance the results and their rate, but they are not the cause of the results. That means you must still continue to have a healthy diet and exercise as normal. This aspect makes the drug popular among women as men because it does not have the androgenic side effects that are a feature of certain drugs, such as facial hair development, deepening of the voice, and thickening of the skin. The drug comes in different forms – capsules, liquid form (approved by the FDA for animals), gels, and powders as well as tablets (the best form of taking the drug, as it contains the right dosage). The general rule is taking one or two tablets with your meals, once a day – and this will take care of your daily needs. The problem associated with powders and liquid is that you must measure it properly and accurately before usage. The body absorbs the substance readily, about 70 to 80 percent, and its half-life is long – in other words, it remains in the body for 25 to 40 hours after ingestion. Because of this aspect, the positive effects of the drug are prolonged significantly. The drug is usually absorbed very quickly, less than 20 minutes after you take it, and its bioavailability is very high as well – up to 83 percent. It is then metabolized by the liver and excreted in the urine after its job is done. The highest concentrations of the drug are usually within the liver, the left ventricle and the lungs. Bodybuilders, as well as athletes that consume the drug, mostly operate on a program cycle, which includes off and on periods. That implies, for instance, you have two days when you take the drug and two days without taking it, and so on. The drug has cycles of use – generally being the two-week cycle, the four-week cycle, and the sixteen-week cycle. In the case of bodybuilders, they take it in two-week cycles. The dosage is different depending on your gender and your body tolerance – men can take it in doses of 60 to 140 mcg per day, while women can use it in doses of 40 to 120 mcg per day. The general dose according to Latin American and European countries that approve the drug is about 0.02 to 0.04 milligrams daily. Regardless of the method you use to consume the substance, it still bears risks though. For instance, injections can lead to air bubbles forming in the blood or scarring, while the liver can be affected negatively due to tablets. The above doses are just recommended, before taking Clenbuterol you should consult with a professional before taking any kind of drugs. There are both short and long-term side effects, with the short-term ones being determined through unintentional overdoses when someone eats meat that is tainted with the substance. Some of these effects include hypertension (increasing blood pressure), muscle cramps, increasing heart rate, vomiting, and nausea, insomnia, palpitation and tremors (increasing shaking of the hands). 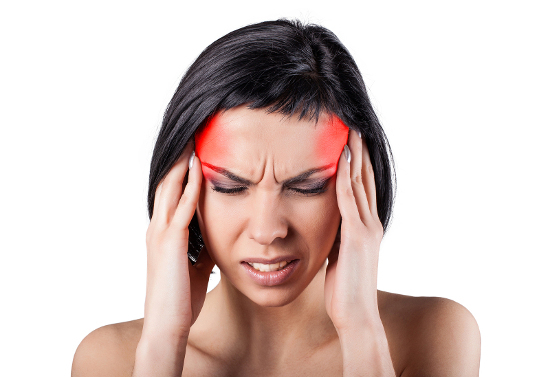 Others include sweating, restlessness and nervousness, difficulties in breathing, and headaches. The worst side effects usually occur within three to four days after the initial use. However, the long-term effects of the substance are not understood completely, and the short-term effects stop once the body expels the substance completely. The lack of precise information in this regard is also due to the lack of human safety tests, such as 330 people in China being hospitalized in 2006 when they consumed clenbuterol-tainted meat. Information is also obtained through the sparse case studies of individuals using the substance for their weight loss objectives. Studies that have been conducted on animals show that the substance actually increases the size of cells of heart muscles, thanks to the increase of collagen, an inelastic substance. This leads to the reduction of the heart’s ability to pump blood and therefore its output. In addition, collagen interferes with the electric signals that travel through heart muscles and enable it to stay pumping, leading to regular heartbeats, also known as arrhythmias. This is very dangerous in the long term, as it enhances the chances of the animal getting a stroke. 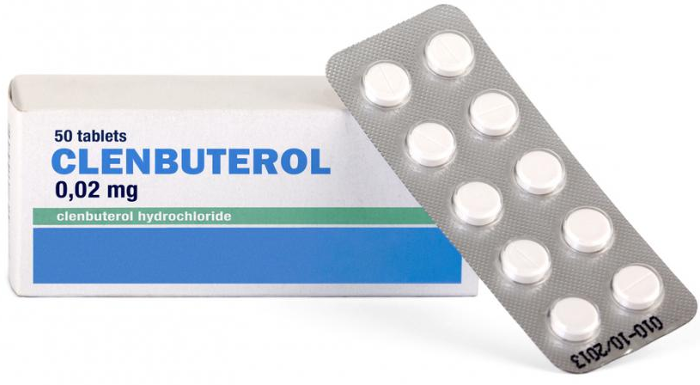 Additional studies on rodents indicate that the substance – clenbuterol – affects the structure of the heart and blood vessels, which leads to enlargement of the aorta after physical activity. This also increases the risks of rupture of the aorta and sudden death. The usage of the substance might also interfere with blood pressure and heart condition issues. For instance, cases of cardiac atrophy on the left side (wasting away of the muscles) can happen at very quick rates especially when the animal overdoses on the drug – in fact, it can happen in as little as four weeks. The substance shows to increase the fragility of bones, all because of its tendency to affect mechanical properties negatively, as well as the microarchitecture of the bones. The combination of bone weakness and increasing muscle mass leads to an increase in the risk of bone fractures. When you ingest the substance in overdose levels, the symptoms can appear very quickly, while they last for several hours or even days because of the long half-life. The effects include difficulties in breathing, tachycardia (racing heartbeat at dangerous levels, sometimes up to 200 beats per minute), headaches, hypokalemia (low potassium levels in the blood, leading to fatigue), and hypophosphatemia (low phosphorus levels). Others include depletion of taurine (leading to low general awareness), tremors, stroke, and vertigo. Because of its effect of lowering potassium, you will need to increase your intake of bananas to replace the potassium the body has lost. Pregnant and nursing women should avoid the substance, as its effects on babies are unknown. Even women who are trying to get pregnant should avoid it as much as possible, as the substance is not recommended for any use other than medical use. In addition, children should not use it, or anyone else who may be allergic to its ingredients. It should also not be in use by people suffering from chronic illnesses, particularly those with heart and circulatory system issues – such as coronary artery disease, myocardial infections, congestive heart failure, urinary retention, high blood pressure, prostatic hypertrophy, and many more. A danger you may not know of is the presence of dopamine in the drug, which is the reward hormone of the brain. In this regard, it may behave like any illegal substance and increase your chances of addiction, which is bad for your health. The effects it has on the heart can depend on the dose and how long you have been taking the drug, and the risks will generally increase the more these factors are present. On the other hand, it may be good for you if you are ready to put in the work to lose weight, you are exhausted with trying out different diets and routines that leave you to no success, you want to shed stubborn fat without losing muscle, and you are looking for a seemingly safe way to lose the excess fat. Clenbuterol is among the most controversial weight loss supplements out there, and this is because its effects on the body are not clear. In addition, the effects it has on the heart and circulatory system are mostly harmful, unless you take it in precise doses. For this reason, it is good to discuss your options with your doctor before using it; and if there is an underlying condition, you can get safe clenbuterol alternatives that are safer for your health and general use. If you decide to purchase it, you can click here for more information.